If you’re looking for some of the best and most beautiful hikes on the planet, we’d refer you to this video we put up a little while back. 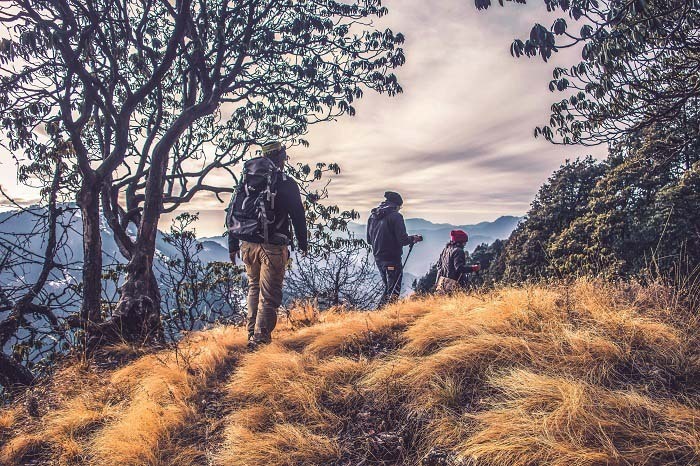 It’s an alluring video showcasing gorgeous hikes from all over the world, from the American Southwest to the Alps to Tasmania. 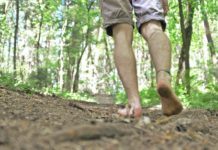 But if you’re looking for some more general advice for a potential hiking vacation, it can help to narrow down your locations rather than targeting specific trails. So in this brief article we’re going to look at a part of the world that, somewhat surprisingly, didn’t come up very much in the aforementioned video: the European continent. There are plenty of incredible places to hike, trek (and camp) throughout Europe. But this is our list of the very best countries for hiking. Switzerland may be the only country on this list that is actually known more for its stunning scenery than anything else. In particular, it’s the country most closely associated with the Alps, where there are, naturally, several incredible trails. Some of these stretch into neighboring countries as well, but the chance to hike through the Alps is one that shouldn’t be passed up if you’re in Switzerland and you enjoy outdoor activity. Tour du Mont Blanc might be the most famous hiking trail in all of Europe. It covers roughly 110 miles through France, Switzerland, and Italy, and provides some of the most sensational views you can find anywhere on Earth. When you really think about it, Sweden isn’t known for a whole lot. It’s typically viewed as a happy country, and at the time of this writing is making a run at the World Cup. It’s also become a noteworthy country in the development of Europe’s online gaming industry. For that matter, beyond online and mobile casinos, Sweden has a nice in-person casino scene also. 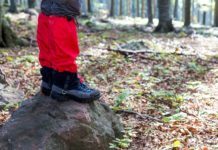 But aside from factors like these, Sweden is also mentioned frequently as one of the best European countries for hiking. The hiking destinations are primarily in the North of the country (with the cities and seaside towns in the South). Most notably, the Kungsleden Trail is renowned for its expansive tundras, low bodies of water, and surrounding mountains. Like Sweden, Norway isn’t known for too many things around the world, though again it’s recognized often as a particularly happy country. Also like Sweden, Norway offers some tremendous arctic hikes in its northern regions. The North Cape, which actually takes you along the northern reaches of the Atlantic Ocean, can be one of the more beautiful natural experiences in Europe. For whatever reason Scotland doesn’t get too much attention for its hikes, even though its defining factor for a lot of international visitors is natural beauty. Scotland is known for its lochs, its broad, open expanses, rocky coastlines, and even world-class golf courses. However, one hike at least lands it squarely on this list. The West Highland Way made it onto a definitive list of the 20 best hikes in Europe, even as high as number four on the list - and with good reason. It’s a seven-day hike through the Scottish Highlands, past all of the lochs, hills, woods, and glens that make the Scottish country so famous. It’s fair to say that of all the countries mentioned on this list, France is the most popular for tourism in general. The sites of Paris are renowned, the cuisine throughout the country is a major draw, the Mediterranean coastline is about as picturesque as it gets, and even smaller things like the national sports scene or specifically the Tour de France can be a draw. However, France is also a wonderful place for outdoors types, even beyond the aforementioned Tour du Mont Blanc. France also has parts of famous trails like Camino de Santiago Trail, the GR20, and the Walker’s Haute Route. The GR10, a more ambitious, 500-mile hike, is also entirely in France, and helps visitors explore the Pyrenees Mountains. 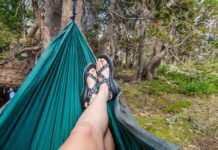 Previous articleTeva vs Chaco: Which One Should You Buy? Let’s Find Out!